The school year calendar for the 2018-19 year is set and Supt. Haase has a short message regarding a pre-Labor Day start in the future. The 2018-19 school year calendar has been set and we will be starting school on Tuesday, September 4th. Otsego, along with other Allegan County schools, had submitted a waiver to begin before Labor Day, however, we did not hear back from the Michigan Department of Education. 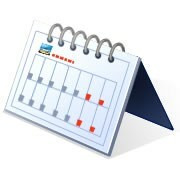 Therefore, we are moving forward with a traditional calendar of starting after Labor Day. We, along with the other county schools, will be submitting another waiver this fall asking to start before Labor Day for the 2019-20 school year. This is an educational decisions that will benefit learning for all students. Students would continue to attend school for 180 days, the same as this year. The time in school would not increase. Starting before Labor Day would allow us to add additional breaks throughout the year, giving students a break or an opportunity for intervention and enrichment. Mr. Haase will hold parent forums this fall to further discuss the waiver and the benefits to students. He outlines this in the video below. Thank you.